As I have probably mentioned before Hubs is a Pizza Maniac, if it was up to him we would eat pizza most days. I on the other hand can take it or leave it, especially as I seem to have some sort of intolerance to anything that’s not a really thin crust. 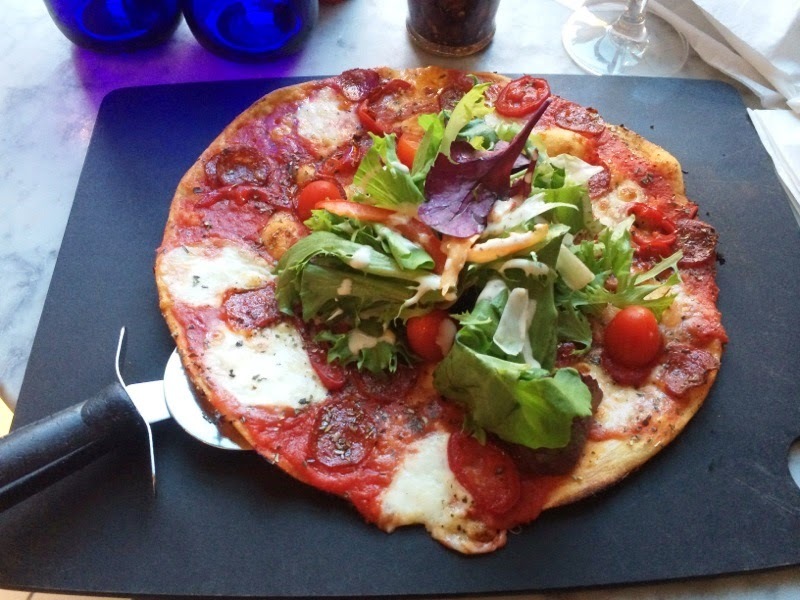 We were invited to have dinner at the Pizza Express on Jubilee Street, Brighton. I know that this will probably sound odd but we haven’t actually been to Pizza Express before. We tend to search out independent or small chain restaurants. Although, we were really grateful for the invite, we were on a pre Marbella diet (not quite no carbs before Marbs) so it didn’t seem to be the most ideal of places to dine. However, I was really surprised to see how well they cater for those on a diet and how transparent they are regarding calories in their Leggera range (their low- cal range). I was also very impressed by the wine list, being my mothers daughter I have grown partial to New Zealand Sauvignon Blancs, which are often not available at many restaurants, but Pizza Express serve a beautiful one. When we arrived we were greeted by a lovely gentleman who took us to our table. He offered us some olives to munch on while we looked at the menu. 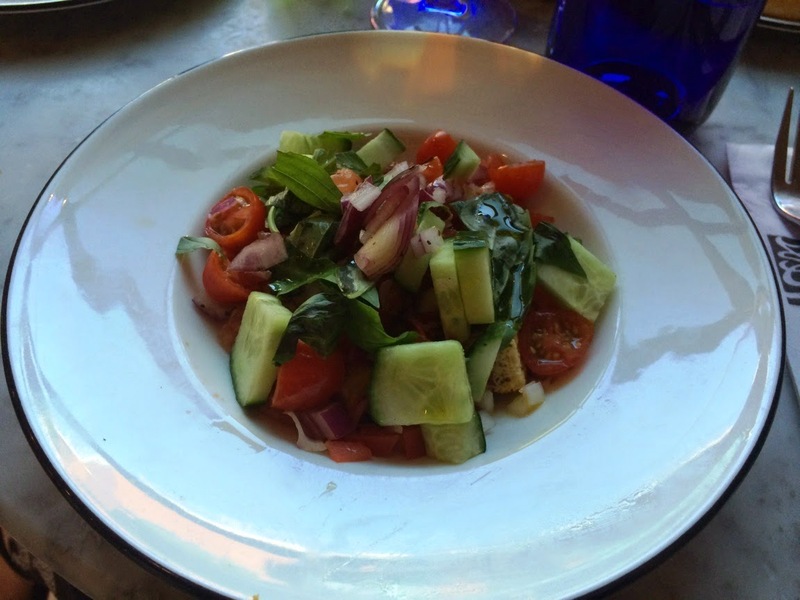 I decided to stay on the lower calorie scale and chose the Leggera Panzanella “Pizza Express” salad. While the salad was very simple, it was very refreshing. I love cucumber, red onion and tomato salads – this one was livened up with capers, croutons and dressed with olive oil, basil and balsamic vinegar. It was also less than 250 calories. 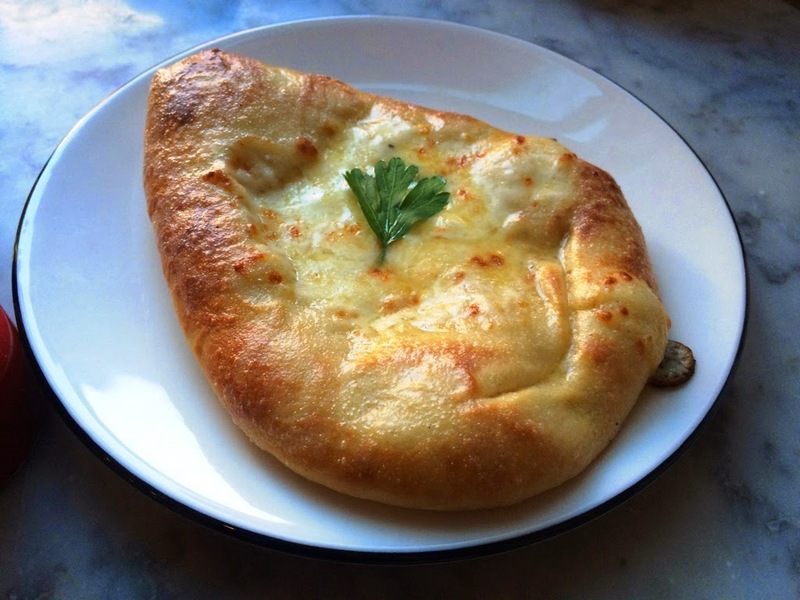 Hubs, being less diet orientated, and less in need of losing weight, ordered the Garlic bread with Mozzarella. For main I stuck with the Leggera range, choosing the American Hot. I think it is great that they take their most popular pizzas from the main menu and use them in their low-cal range. All the pizzas in the Leggera range are less than 500 calories, They are thin based with a section of the middle taken out and filled with great salad. While Hubs went for the Calabrese, which, though delicious proved to be too big for even the Pizza King himself. Luckily the lovely guy at Pizza Express boxed it up for him. Despite going for the “diet” option I felt full after the starter and main, so Hubs and I skipped dessert. Overall, I was pleasantly surprised by our experience. The service was great and the location is prime, and it is surrounded by great bars. 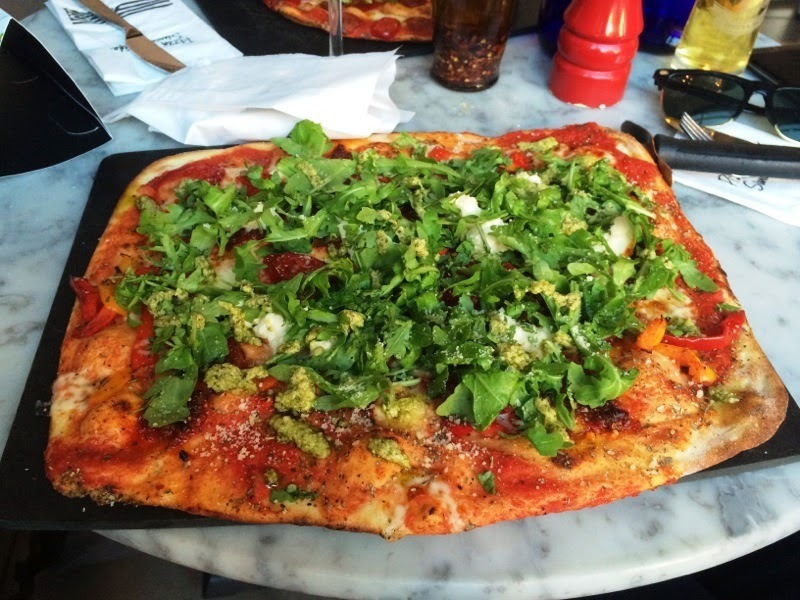 What’s your Pizza Express favourite?